Your beloved Android phone is dropped from the 3rd story of a building. Your phone is moving at a dangerously fast speed towards the dreaded “10% battery” warning, and it’s only 10 am. What’s the difference between these two situations? The speed with which your phone falls can’t be slowed down. But the speed with which your battery does, can. 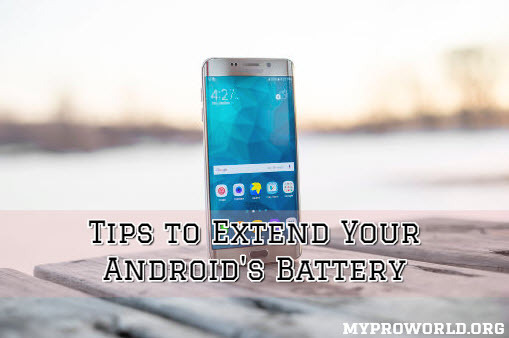 In this blog post, take a look at 3 not so well known tips to save your Android phone’s battery. Yes, vibrations eat up your battery. Every time your phone vibrates, it generates heat which is a form of energy, taken from where? Your battery, of course! Keep your phone on silent rather than vibrate, and turn off haptic feedbacks from your settings. A few apps on the Play Store also allow application specific vibrations. Though a helpful little process, each time a set of data is to be synced to a particular account; your phone has to open the account application to do so. This means a number of applications are kept running without your knowledge. Save some battery by unsyncing accounts you do not need backups in. This could be your Google+, Facebook or WhatsApp accounts among others. Your phone needs the perfect temperature. Not too hot, not too cold, just right. Try not to get your phone too heated up, and keep it out of reach of the air conditioner for a longer battery life. Bonus Tips! The Flight Mode has more than one use. Keep it functional while you charge your phone, which will not only ensure quick charging but also charge the battery to full capacity, making it last longer. Keep a pitch black picture as your wallpaper, so you don’t need a bright screen- one of the well-known battery drainers. Use these lesser known tips with the ones you know, and keep your Android phone alive!